“Paul and Timothy, bond-servants of Christ Jesus . . .” (Phil. 1:1). A faithful slave fulfills the will of his master. The metaphor of Christians as slaves to Christ is common in Paul’s writings. It is one his readers would have readily understood because of the prevalence of slavery in the Roman Empire. Peter, James, John, and Jude used the same metaphor of their own ministries, as did Jesus in Mark 10:45—“The Son of Man did not come to be served, but to serve, and to give His life a ransom for many.” In Philippians 2:7 Paul refers to Christ as a bond-servant who set aside the glory He was due and humbled Himself to the point of death. The Greek word translated “bond-servant” in Philippians 1:1 was commonly used of those who, out of devotion to their masters, chose to remain as slaves though having the opportunity to be released. They were also known as love slaves because they served out of love, not compulsion. That is a beautiful picture of the believer. We are God’s “bond-servants” (Rev. 1:1), “having been freed from sin and enslaved to God” (Rom. 6:22). While slavery brings to mind deprivation and inhumane treatment of one’s fellowman, slaves in the Roman Empire usually were treated with dignity and respect. Although most had no personal possessions, their masters supplied everything they needed for life and health. Additionally, many were entrusted with significant responsibilities in their master’s home. A disobedient or self-willed slave was of no use to his master, but faithful slaves who set aside their personal interests to accomplish their master’s will were valued highly. Jesus said, “My food is to do the will of Him who sent Me, and to accomplish His work” (John 4:34). As God’s bond-servant, that should be your goal as well. Be faithful, so God can use you mightily. Suggestions for Prayer: Thank God for the privilege of serving Him. ✧ Seek wisdom to appropriate your spiritual resources as you perform the tasks God has entrusted to you. For Further Study: The book of Philemon is a letter Paul wrote to accompany Onesimus, a runaway slave whom Paul had led to the Lord and was now returning to his master, Philemon. ✧ Read Philemon. ✧ What was Paul’s desire for Onesimus? ✧ What does this letter reveal about Philemon’s character? MacArthur, J. F., Jr. (1993). Drawing Near—Daily Readings for a Deeper Faith (p. 48). Wheaton, IL: Crossway Books. This entry was posted in Daily Devotional Guide, John MacArthur on February 5, 2018 by Truth2Freedom. This entry was posted in Inspirational Quotation/Prayer on February 5, 2018 by Truth2Freedom.
. . . finish reading Study: More College Students Believing In Communism, Santa Claus. This entry was posted in Humor/Satire on February 5, 2018 by Truth2Freedom. …In all things it behoved him to be made like unto his brethren…. This is a question that we are hearing often. Frankly, I cannot assure you whether Christians should know discouragement or not: I can only tell you that they all do! Inwardly, they are often heavyhearted, defeated, unhappy and a little bit frightened—yet they are Christians! Now, that is our victorious Lord, our victorious human brother. But what we read in the New Testament is that God has joined His nature to the nature of man and has made a Man victorious, so that men might be victorious and overcoming in that Man! God has made Him to be Head of the Church and He meanwhile waits for the time of His returning, guiding and keeping and instructing His Church. This He does by the Holy Spirit through the Word of God! This entry was posted in A. W. Tozer, Daily Devotional Guide on February 5, 2018 by Truth2Freedom. There were plenty of signs that Obama was a pretty typical leftist authoritarian. Everything we knew about his ideology before he was elected should have told us that he was in favor of big government, and opposed to private businesses and families. If there was a conflict between liberty and government overreach, then Obama could be counted on to come down on the side of big government. Here’s a reminder from The Federalist about why we shouldn’t be surprised by what was revealed in the House Intelligence Committee memo. This entry was posted in Reblogged Guest Post on February 5, 2018 by Truth2Freedom. 20 Just as the seventy-two disciples “returned [hypestrepsan, GK 5715] with joy” after their preaching mission (10:17), so the shepherds “returned [hypestrepsan], glorifying and praising God.” It is clear that in Luke this spirit of doxology is the proper response to the mighty works of God (cf. 5:25–26; 7:16; 13:13; 17:15; 18:43; 23:47; similar occurrences in Acts). 20. Then the shepherds returned, glorifying and praising God for all the things they had heard and seen, (which were) just as had been told them. These men, upon returning, showed that they had not been offended by the low estate of Joseph and Mary. They did not shrink back from acknowledging the child in the manger as being indeed “a Savior, Christ the Lord.” In fact, their faith was even strengthened when they reflected on the fact that they had found everything to be exactly as they had been told. Instead of complaining, they were constantly ascribing glory and praise to God. Liefeld, W. L., & Pao, D. W. (2007). Luke. In T. Longman III & D. E. Garland (Eds. ), The Expositor’s Bible Commentary: Luke–Acts (Revised Edition) (Vol. 10, p. 80). Grand Rapids, MI: Zondervan. Hendriksen, W., & Kistemaker, S. J. (1953–2001). Exposition of the Gospel According to Luke (Vol. 11, p. 158). Grand Rapids: Baker Book House. This entry was posted in Daily Devotional Guide, Verse of the day on February 5, 2018 by Truth2Freedom. God hath made the same Jesus…both Lord and Christ. No Christian believer should ever forget what the Bible says about the Person and the offices of the eternal Son, the Christ of God. “God hath made the same Jesus, whom ye have crucified, both Lord and Christ” (Acts 2:36). Jesus means Savior; Lord means Sovereign; Christ means Anointed One. The Apostle Peter did not proclaim Jesus only as Savior—he preached to them Jesus as Lord and Christ and Savior, never dividing His Person or His offices. Remember, also, the declaration of Paul: “If thou shalt confess with thy mouth the Lord Jesus…thou shalt be saved” (Romans 10:9). Three times in the passage to the Roman Christians telling how to be saved, Paul calls Jesus “Lord.” He says that faith in the Lord Jesus plus confession of that faith to the world brings salvation to us! Sovereign Lord, You are the One I choose to serve. Help me to meditate on this truth as I journey through some mundane tasks today. Gospel means “good news,” and it was the good news of God’s kingdom—around which all of Jesus’ teaching revolved—that He preached throughout Galilee. His emphasis never veered off into politics, economics, social activism, or resolution of personal disputes, which is as it should be for any faithful gospel messenger. Jesus’ primary teaching was always the divine good news—God’s gracious offer to deliver sinners “from the domain of darkness … to the kingdom of His beloved Son” where they are saved and forgiven of their sins (Col. 1:13–14). Initially, synagogues were the places where Jesus proclaimed the good news, the places where sincere, God-fearing Jews came to worship and hear God’s Word. Essentially, it was in those facilities that Jesus expected to find receptive audiences to His words, but He did not restrict His outreach to the people of Israel. The basic message of entering the sphere of God’s rule by faith in the saving gospel was and always has been open to anyone who trusts Christ’s invitation. Jesus’ powerful, eternal words were unlike the words any other teacher had ever proclaimed. Even His fellow residents of Nazareth knew this and “were speaking well of Him, and wondering at the gracious words which were falling from His lips” (Luke 4:22). People at Capernaum also “were amazed at His teaching, for His message was with authority” (v. 32). Jesus’ teaching on the kingdom of God and His subsequent healings were the surest credentials that the Father had sent Him. Jesus’ priorities were plainly obvious by the way He conducted Himself and the activities He chose to involve Himself in on a typical day. How would you enumerate your own priorities? And what day-to-day actions of yours back this up? MacArthur, J. (2008). Daily readings from the life of Christ (p. 44). Chicago: Moody Publishers. To keep people out of hell. They want them to avoid eternal punishment. To obey Christ’s command. In Matthew 28:18–20 and Acts 1:8, Jesus tells us to evangelize. Those are all valid, biblical reasons for evangelism, but the main reason we should preach the gospel is for the glory of God. MacArthur, J. (2001). Truth for today : a daily touch of God’s grace (p. 48). Nashville, Tenn.: J. Countryman. In the depths of his hopelessness and despair, the younger son, facing starvation, came to his senses and remembered his rich and generous father. “How many of my father’s hired men have more than enough bread, but I am dying here with hunger!” he reminded himself. This statement further reveals his knowledge of his father’s gracious, compassionate nature. Hired men were day laborers who were generally unskilled and poor, living day to day on the temporary jobs they could find at whatever wages they were offered (cf. Matt. 20:13–14). Recognizing the reality that such people would be part of society, the Old Testament law protected them and required their wages to be paid in a timely manner (cf. Lev. 19:13; Deut. 24:14–15). But as the son knew well and recalled, his father generously exceeded the requirements of the law by making sure that the men he hired had more than enough bread. That recollection gave him hope and, with no other option, with what the scribes and Pharisees would see as brash audacity, he decided to get up and go to his father. The worst that could happen would be no more severe than what he faced, but he hoped at least to be treated with the same mercy and compassion with which his father had always treated his day laborers. With that in mind, he rehearsed a brief confession to offer when he arrived home: “Father, I have sinned against heaven, and in your sight; I am no longer worthy to be called your son; make me as one of your hired men.’ ” The best he could have expected, after humbly confessing his shameful sin, was to be allowed to work toward restitution (cf. Matt. 18:26) of all he had wasted and after that hope to be reconciled with his father. The scribes and Pharisees would have agreed that he needed to confess, repent, be humiliated, shamed, and perhaps receive forgiveness and mercy, but only after making full restitution. In their thinking, people earn their way back from shame. The younger son’s actions picture the kind of repentance that can lead to salvation. He came to his senses and realized that his situation was desperate. He remembered his father’s goodness, compassion, generosity, and mercy and trusted in them. In the same way, the repentant sinner takes stock of his situation and acknowledges his need to turn from his sin. He realizes that there is no one to turn to except the Father whom he has shamed and dishonored and by faith, with nothing to offer, turns to Him for forgiveness and reconciliation on the basis of His grace. The son acknowledged to his father that he had sinned against heaven (the Greek phrase could also suggest that he viewed his sins as piling up as high as heaven; cf. Ezra 9:6) and in his sight. In the same way the penitent sinner takes full responsibility for his sin and affirms its heinousness. Repentance is the sinner’s part in the process of being restored to God, and there is no true gospel apart from it. The call for sinners to repent is at the heart of all biblical evangelism, beginning in the Old Testament (cf. Pss. 32:5; 51:1–4, 14, 17; Isa. 1:16–18; 55:6–7; Ezek. 18:30, 32; 33:19; Jonah 3:5–10). In the New Testament repentance was central to the gospel preaching of John the Baptist (Luke 3:3–9), Jesus (Matt. 4:17; Luke 5:32; 13:3, 5; 24:46–47), the apostles (Mark 6:12), and the early church (Acts 2:38; 3:19; 5:31; 8:22; 17:30; 20:21; 26:20; 2 Cor. 7:9–11). Repentance must not be misconstrued as a meritorious, pre-salvation work since, though required of the sinner, it must be granted by God (Acts 11:18; Rom. 2:4; 2 Tim. 2:25). Assuming that he would have to work to make restitution, the younger son did not expect to be welcomed back immediately into the family as a son, or even as one of the household servants. He only hoped that his father would be willing to accept him as one of his hired men. His empty lifestyle had filled him with remorse for the past, pain in the present, and the bleak prospect of even more suffering in the future as he worked the rest of his life to earn acceptance. But as it turned out, he drastically underestimated his father. 18–19 The motivation for the son’s return was hunger, but it was specifically to his “father” (v. 18) that he wanted to return. The words “against heaven” (eis ton ouranon [GK 4041]) can mean “to heaven,” denoting that his sins were so many as to reach to heaven; more probably the meaning is that his sins were ultimately against God, veiled in the word “heaven” (cf. Ps 51:4). Assuming this latter meaning, we see that the parable is far more than an allegory with the father representing God, for the father and God have distinct roles. The father in the story does, of course, portray the characteristics and attitudes of a loving heavenly Father. This does not mean that God is heavenly Father to everyone (note Jn 1:12; 8:42–44). Yet the Jews knew God’s loving care was like that of a father (Ps 103:13). The son knew he had no right to return as a son (v. 19), having taken and squandered his inheritance. He therefore planned to earn his room and board. 15:17–19. Finally, his mind went to work again. Humans have the capacity to change. We do not have to remain in the pigpen. We do not have to continue to live as sinners. We can become responsible for our lives. We can quit our riotous living. We can come home. What is a sinner? An unworthy person. One who deserves nothing. Yet a sinner wants something. So the sinner searches for someone who loves the unworthy, who is willing to help the undeserving. The sinful younger brother had forfeited his position as son. He had no more claims on his father, so he applied for a new job—day laborer. 18, 19. I will arise and go to my father, and I will say to him, Father, I have sinned against heaven and in your sight. I am no longer worthy to be called your son; make me as one of your hired men. Though I respect K. E. Bailey’s works, I differ with him here. I believe that the prodigal’s confession was not shallow, and that it meant more than an expression of sorrow for money lost, and a request that he might be accepted as a hired servant, so as not to be eating his brother’s bread. See his The Cross, pp. 46–50; P & P., pp. 174–180. He arrives at the conclusion that his decision to leave home was what? Simply unwise? A practical error? No, definitely a sin, nothing less. A sin committed against whom? Against his father? Well, first and most of all against “heaven,” that is, “against God” (Hebrews often substituted the word heaven for God). It was God who had given him a wonderful, kind, and loving father; hence “against heaven” and “in your sight” (or: against you). What a change in this young man. How penitent he has become. 15:17–19 The famine proved to be a blessing in disguise. It made him think. He remembered that his father’s hired servants were living far more comfortably than he. They had plenty of food to eat, while he was wasting away with hunger. As he thought of this, he decided to do something about it. He determined to go to his father in repentance, acknowledging his sin, and seeking pardon. He realized that he was no longer worthy to be called his father’s son, and planned to ask for a job as a hired servant. MacArthur, J. (2013). Luke 11–17 (pp. 311–313). Chicago, IL: Moody Publishers. Liefeld, W. L., & Pao, D. W. (2007). Luke. In T. Longman III & D. E. Garland (Eds. ), The Expositor’s Bible Commentary: Luke–Acts (Revised Edition) (Vol. 10, pp. 253–254). Grand Rapids, MI: Zondervan. Butler, T. C. (2000). Luke (Vol. 3, p. 250). Nashville, TN: Broadman & Holman Publishers. Hendriksen, W., & Kistemaker, S. J. (1953–2001). Exposition of the Gospel According to Luke (Vol. 11, pp. 754–755). Grand Rapids: Baker Book House. MacDonald, W. (1995). Believer’s Bible Commentary: Old and New Testaments. (A. Farstad, Ed.) (p. 1429). Nashville: Thomas Nelson. I think it may be accepted as axiomatic that God is constantly trying to speak to men. He desires to communicate Himself, to impart holy ideas to those of His creatures capable of receiving them. This divine impulse toward self-expression may account for the creation, particularly for God’s having made intelligent and moral beings who could hear and understand truth. Among these beings man stands at the top, having been created in the image of God and so possessing purer and finer organs for the apprehension of whatever can be known of God. The Second Person of the Godhead is called the Word of God, that is, the mind of God in expression…. Lord, may I make use of the intellect You have given me and open my ears to hear Your voice today. Amen. Though there is only one God, He exists in three Persons: God the Father, God the Son, and God the Holy Spirit. God is one, but He exists in three distinct Persons. We call this the Trinity, a contraction of “tri–unity,” meaning “three in one.” The word Trinity doesn’t appear in the Bible, but God’s existence as three Persons in one God is clear from Scripture. The New Testament is more explicit about God’s triune nature. After Jesus’ baptism, the Spirit of God descended upon Him as a dove, and the Father said, “This is My beloved Son, in whom I am well–pleased” (Matt. 3:17). The Father, Son, and Holy Spirit are together in the same scene. Jesus says, “And I will ask the Father, and He will give you another Helper, that He may be with you forever; that is the Spirit of truth” (John 14:16–17). Paul closes 2 Corinthians by saying, “The grace of the Lord Jesus Christ, and the love of God, and the fellowship of the Holy Spirit, be with you all” (13:14). Peter declares that believers are chosen “according to the foreknowledge of God the Father, by the sanctifying work of the Spirit, that you may obey Jesus Christ” (1 Peter 1:2). So God is one, but God is three. This is a profound mystery that no human illustration can adequately describe and no scientific explanation can prove. The Trinity is something we have to take on faith, because God has taught it in Scripture. Suggestions for Prayer: Praise God that He is so far above our finite understanding, yet has chosen to reveal Himself to us. For Further Study: Read John 14–16. What does Jesus teach about His relationship with the Father and the Spirit? ✧ What do you learn here about the different functions or ministries of each member of the Trinity? IF we had the blessings without asking for them, we should think them common things; but prayer makes the common pebbles of God’s temporal bounties more precious than diamonds; and spiritual prayer cuts the diamond, and makes it glisten more. When thou art wrestling, like Jacob with the angel, and art nearly thrown down, ask the Holy Spirit to nerve thine arm. Consider how the Holy Spirit is the chariot-wheel of prayer. Prayer may be the chariot, the desire may draw it forth, but the Spirit is the very wheel whereby it moveth. Spurgeon, C. H. (1892). Daily Help (p. 39). Baltimore: R. H. Woodward & Company. This entry was posted in C. H. Spurgeon, Daily Devotional Guide on February 5, 2018 by Truth2Freedom. Such love seeks, at a great cost to itself, but only to give freely and spontaneously for the benefit of another, even if that person is not worthy of such an expression (cf. Deut. 7:7–8). Since all of God’s attributes work in perfect harmony, His love necessarily operates in conjunction with each of His other attributes. He is lovingly holy (Rev. 4:8; 15:4), just (Isa. 30:18; Rom. 3:26; 1 Peter 3:18), merciful (Ps. 86:15; Luke 6:36; 2 Cor. 1:3), gracious (Ps. 103:8; 1 Peter 5:10), patient (2 Peter 3:9, 15), omniscient (Ps. 147:5; Rom. 11:33–34), omnipotent (Rom. 1:20; Rev. 19:6), omnipresent (Ps. 139:7–10; Jer. 23:23–24), and even wrathful (Ps. 7:11; Rev. 19:15). With regard to mankind, God’s love has a twofold expression: it is general toward unsaved humanity (common grace; Ps. 145:9; Matt. 5:45; cf. Mark 10:21a) and specific toward believers (special grace; cf. John 13:1; Rom. 5:8; 8:38–39; 9:13–15; Eph. 5:25). It is this specific and unique love of God for His own that stands as one of the unshakeable foundations of eternal hope. In other words, believers can live in hope because they have experienced God’s love in an eternal, saving way—having been adopted into His family (Rom. 8:16) and called children of God (John 1:12; cf. 2 Peter 1:4). They became His children solely because He lavishly bestowed on them a gracious, unmerited, sovereign love apart from any that has human merit. Such love is inexplicable in human terms. It is not surprising, then, that the world does not know the nature of the relationship between God and His children (cf. Heb. 11:38a), because it did not know Him. Those outside of Christ cannot fathom (1 Cor. 2:15–16; 1 Peter 4:3–4) the true essence and character of believers, which shines forth in their likeness to the heavenly Father and His Son Jesus Christ, their Savior and Lord (Matt. 5:16; Phil. 2:15; 1 Peter 2:12; cf. 1 Cor. 14:24–25). Even for believers it is a challenge “to comprehend with all the saints what is the breadth and length and height and depth, and to know the love of Christ which surpasses knowledge” (Eph. 3:18–19a). Because Christians are so intrinsically different from the world around them, having been transformed by the Father who adopted them, the New Testament appropriately describes them as “strangers and exiles” (Heb. 11:13), “aliens” (1 Peter 1:1), and “aliens and strangers” (1 Peter 2:11). They are those who, in hope, “desire a better country, that is, a heavenly one. Therefore God is not ashamed to be called their God; for He has prepared a city for them” (Heb. 11:16). And having declared them righteous in justification, He is making them righteous in sanctification and will perfect that righteousness in glorification when hope is realized. 3:1 The first three verses of ch. 3 elaborate the status of the person who passes the test of love at 2:29. Childhood has both disadvantages and eschatological benefits. 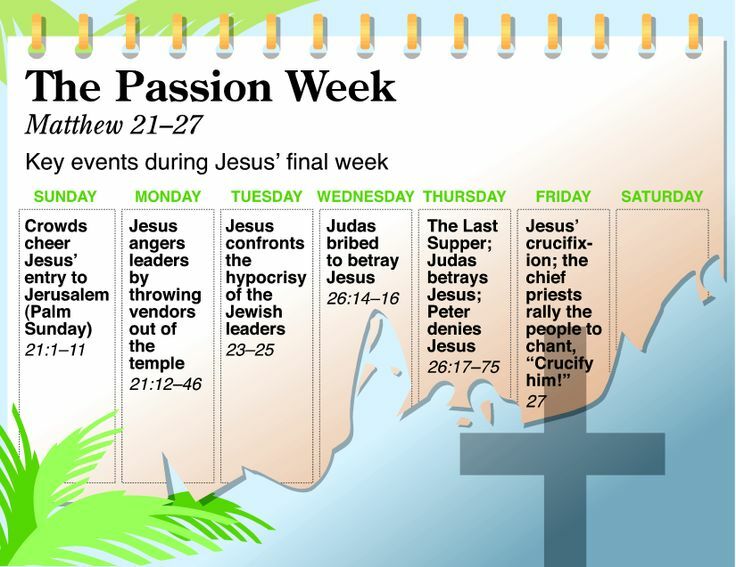 The disadvantages are explored at 3:1 in language that echoes several passages from the fourth gospel, most notably the prologue (Jn 1:1–18) and the farewell (Jn 13–17). Jesus came to his own, but the world did not “know him” (Jn 1:10; 1 Jn 3:1) and does not know his disciples either. Because of this ignorance the world hates God and Jesus and will also hate anyone born of God (Jn 15:18–16:4; 17:14–15). The difficulties this creates for believers are, however, far outweighed by the eschatological benefits of childhood, which John explores in vv. 2–3. 3:1 / The idea of being born of God is so inspiring to the Elder that he exclaims (lit. ), “Behold! What great love the Father has given to us that we should be called children of God!” He explores this theme for three verses before returning to the contrast between sin and righteousness begun in 2:29. It is love which has motivated God to claim us as his children. While the two previous references to love (agapē; 2:5, 15) were to human love, this is the first reference to God’s love. (God’s love will be the author’s main focus in 4:7–10, 12, 16–18.) God’s love has been lavished on us. The perfect tense connotes love which has been and continues to be given to us, with the continuing consequence that we are called children of God. People are born into God’s family (2:29; John 1:13) and are given the right to become children of God because they have “received” the Word and have “believed in his name” (John 1:12–13). These are the people for whom Jesus died, including believers from “the Jewish nation,” as well as “the scattered children of God” (future Gentile believers), that he might make them one (John 11:52; 17:20–23; cf. John 10:16). Such people “do what is right” (1 John 2:29) and thereby show that they are in reality what God called them to be (and that is what we are!). The Elder reinforces the divine origin of the believing community because its status as God’s children is unknown to the world; the surrounding culture does not see it and confirm it. The Johannine Christians must hold on to their true identity “against the stream.” But, in being unknown to the world and in having a secret identity, the community can take special pride, for prior to them Jesus (niv, him) was also “unknown” to his contemporaries John 1:10–11; 8:19; 14:7, 9; 15:18–21; 16:3; cf. 3:32; 4:10; 7:27–28; 14:17; 17:25). 1. How great is the love the Father has lavished on us, that we should be called children of God! And that is what we are! The reason the world does not know us is that it did not know him. What an honor! God calls us his children and gives us the assurance that as his children we are heirs and co-heirs with Christ (Rom. 8:17). God gives the right to become children of God (John 1:12) to all who in faith have received Christ as Lord and Savior. God extends his love to his Son Jesus Christ and through him to all his adopted children. John underscores the reality of our status when he writes that already, at present, we are children of God. “And that is what we are!” In other words, God does not give us a promise which he will fulfill in the future. No, in fact we are already God’s children. We enjoy all the rights and privileges our adoption entails, because we have come to know God as our Father. God’s children experience the love of God. They profess him as their Father, for they have an experiential knowledge of God. They put their trust and faith in him who loves them, provides for them, and protects them. The hostile, unbelieving world, however, does not know the children of God. Unbelievers cannot understand us, says John, because they do not know God (compare John 16:2–3). “The world does not recognize us because it never recognized him.” The unbelieving world lives separated from God and will never know the significance of our spiritual relationship with God. If we were to become worldly, we would forfeit our status as children of God. By rejecting us, however, the world confirms our relationship with God the Father. Now as we walk about from day to day, the world does not recognize us as children of God. The people of the world do not understand us nor the way we behave. Indeed, the world did not understand the Lord Jesus when He was here on earth. “He was in the world, and the world was made through Him, and the world did not know Him. He came to His own, and His own did not receive Him.” Since we have the same characteristics as the Lord Jesus, we cannot expect the world to understand us, either. 3:1Behold what manner of love: John stands in amazement of God’s love. But the greater amazement and appreciation is for the fact that God’s love is expressed to human beings, that Christians are included in His family. God loves all believers, the weak as well as the strong. John describes Jesus on the night of His betrayal as “having loved His own who were in the world,” and writes that “He loved them to the end” (John 13:1). God’s love is in stark contrast to the love of the world. The world loves those who love them, while God loves even those who disobey Him. The perception to which John invited his readers is, however, lost on the world. Since the world … did not know Him (God or Christ), it can hardly be expected to recognize believers as His children. This kind of discernment about others is a distinctively Christian perception. MacArthur, J. (2007). 1, 2, 3 John (pp. 114–116). Chicago, IL: Moody Publishers. Thatcher, T. (2006). 1 John. In T. Longman III & D. E. Garland (Eds. ), The Expositor’s Bible Commentary: Hebrews–Revelation (Revised Edition) (Vol. 13, p. 458). Grand Rapids, MI: Zondervan. Johnson, T. F. (2011). 1, 2, and 3 John (pp. 67–68). Grand Rapids, MI: Baker Books. Kistemaker, S. J., & Hendriksen, W. (1953–2001). Exposition of James and the Epistles of John (Vol. 14, pp. 292–294). Grand Rapids: Baker Book House. MacDonald, W. (1995). Believer’s Bible Commentary: Old and New Testaments. (A. Farstad, Ed.) (p. 2316). Nashville: Thomas Nelson. Radmacher, E. D., Allen, R. B., & House, H. W. (1999). Nelson’s new illustrated Bible commentary (p. 1710). Nashville: T. Nelson Publishers. Walvoord, J. F., & Zuck, R. B., Dallas Theological Seminary. (1985). The Bible Knowledge Commentary: An Exposition of the Scriptures (Vol. 2, p. 893). Wheaton, IL: Victor Books. February 4: What Type of Savior? It’s tempting to operate life on our own terms and only call on God when we hit a crisis. If we’re not busy studying how God has worked in the past and relying on the work of the Spirit in our lives, we can easily fall into the pattern of calling on Him to meet our desires rather than realizing that He is the first to deliver what we need. In John 2, we get a sense of what this was like for Mary and the disciples at the wedding in Cana. While Mary wants Jesus to save the day—and save the bridegroom from certain ruin and humiliation—Jesus shows her that He is no magician. His soft rebuke reminds her that His plan of salvation exceeds what she can perceive: “What does your concern have to do with me, woman? My hour has not yet come” (John 2:4). (This phrase seems derogatory to our modern ears, but it actually would have been normal language between a son and mother in the first century ad.) However, after doing so, He willingly and liberally grants her request. Those who were closest to Jesus didn’t yet understand the role He came to fulfill. This miracle, the first in a series in the Gospel of John, helped Jesus’ disciples believe in Him (John 2:11). But even throughout His ministry and the witnessing of other miracles, they would struggle to fully understand why He came. He constantly needed to remind and correct them. God knows our need, and He made a plan to meet that need. His glory was displayed at Cana, but His purpose for coming—for redeeming both us and them—would be revealed at another event that would confound human understanding: the shame and glory of the cross. He fulfilled that need. And today, we can go to Him for all of our needs. If it is in His will, He will grant it. How do you rely on Jesus to fulfill your deepest need? This entry was posted in Connect the Testaments, Daily Devotional Guide on February 5, 2018 by Truth2Freedom.